Here is the completed structure. 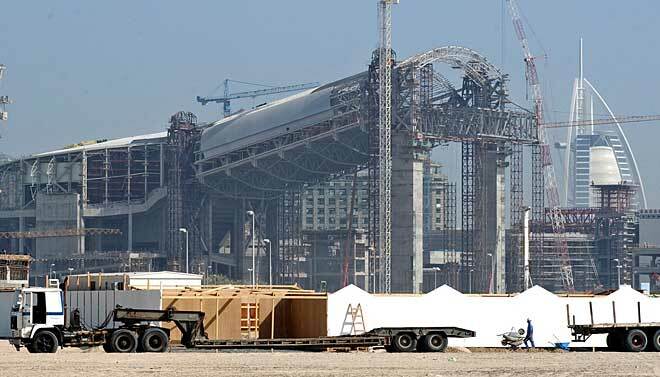 Notice the palm trees outside………. Let’s all go skiing in the desert. Unbelievable! 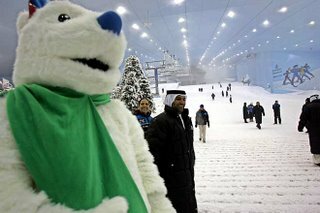 Ski Dubai is the first indoor ski resort in the Middle East and offers an amazing snow setting to enjoy skiing, snowboarding, and tobogganing or just playing in the snow. Young or old, there is something for everyone, from the beginner to the snow sport enthusiast. Ski Dubai is a unique mountain-themed attraction that offers the opportunity to enjoy real snow in Dubai all year round. Skiers and snowboarders of all skill levels will enjoy these various slopes and snowboarders can also practice their stunts on the 90-metre long quarter pipe. 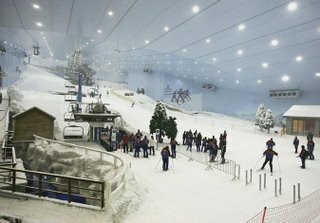 Kids and parents alike will have fun in the huge interactive Snow Park, which at 3000 square meters is the largest indoor snow park in the world. You will enjoy our themed restaurants; the St Moritz Café at the entrance to Ski Dubai, and the Avalanche Café at mid-station, with views of the slope. Our exclusive retail shop, Snow Pro, has expert staff to advise you on your equipment needs and our team of professional instructors will guide you through the simple, fun process of learning to ski or snowboard. 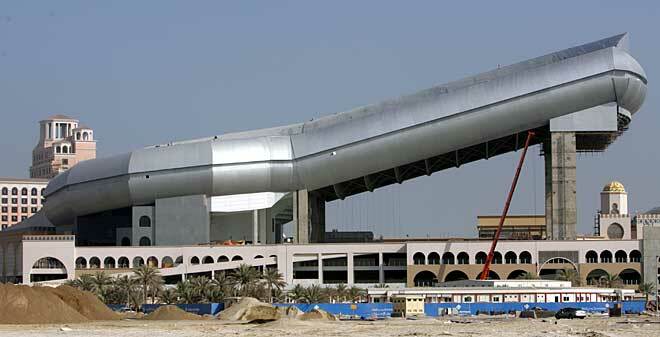 For more on the Ski Dubai resort, click this link. Many thanks to Stephanie Cooper for sending this entry.